They’ve attacked and beat up elderly people attempting to attend Trump-for-President rallies; attacked people with solid iron bicycle locks, bike racks, clubs, rocks, mace, baseball bats, and bottles filled with urine and feces. They threw cement blocks through storefront windows in D.C. on inauguration day, claiming it to be a protest against capitalism. They’ve set police cars, civilian cars, and buildings on fire to interrupt campus speeches by conservatives. They hospitalized a female university professor for the “crime” of inviting conservative political scientist Charles Murray to speak at Middlebury College. They organize a riot whenever a conservative or libertarian is invited (by students, never by faculty) to speak at a university. They gather by the hundreds to scream F-bombs at those with whom they suspect they disagree on issues related to politics and government. They’ve firebombed Republican Party offices; shut down college campuses; thrown eggs at and spit on Trump supporters; fired gunshots at and punctured tires of cars with Trump bumper stickers. One of them shot a congressman at a baseball practice in D.C. Another shot several people at the Family Research Council headquarters in D.C. after being informed by the Southern Poverty Law Center, the preeminent purveyor of politically-inspired hate, that the pro-family organization, like so many other conservative and libertarian organizations, was supposedly a “hate group.” They often cover their faces with masks, wear helmets, and show up at public events armed with clubs, baseball bats, and guns. They are clamoring for the demolition of the Washington Monument, Jefferson Memorial, and Mount Rushmore. Like the Taliban that has destroyed hundreds of religious monuments, they seek to destroy all monuments to Western civilization, which they have been taught is the root of all worldly evil. They are defended by their ideological brethren at CNN, which has declared in fine Orwellian fashion that these violent criminals “seek peace through violence”. The main objective of all socialists is to use the coercive powers of the state to force some kind of societal “plan” or plans on the entire society, replacing all the individual plans that people normally make for their own lives. It is about totalitarian control. The problem, wrote Hayek, is how to organize a mob large enough to be able to enforce the views of the behind-the-scenes architects of the totalitarian scheme. An example would be leftist billionaire George Soros, who reportedly finances much of the above-mentioned criminal activity. The Democratic National Committee was also “outed” by “Project Veritas” investigative reporters as a financing and organizing vehicle for thuggish violence against Trump supporters during the 2016 presidential campaign. One “principle” of mob selection, said Hayek, is that the largest mobs will be comprised of “the least original and independent [minded].” The “lowest common denominator” in terms of morals and intelligence, in other words. 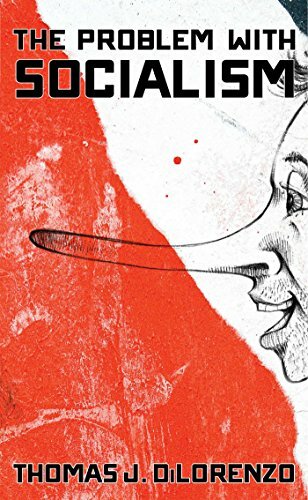 Third, the “skillful demagogue” will understand that “it is easier for people to agree on a negative program – on the hatred of an enemy, on the enemy of those better off – than on any positive task.” If the leftist Bolshevik “protesters” in America today are about anything, it is about a psychotic hatred of just about everything to do with American (and Western) civilization. They have been taught to be filled with hatred of their own society as “racist, sexist, and homophobic” since grade school. 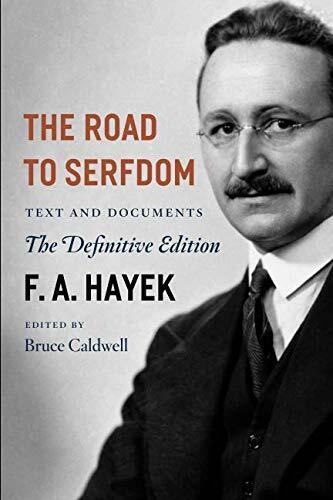 When Hayek was writing The Road to Serfdom it was “the Jew” who “had come to be regarded as the representative of capitalism” and was therefore the object of the intense hatred of socialist totalitarians (Nazis) in Europe (p. 161). In today’s America it is the “one percenters,” capitalism in general, and white heterosexual males, who are said to “oppress” just about everyone else. Hayek’s characteristics of a totalitarian mob seem to fit today’s American Bolshevik wannebes like a glove. In a recent survey of self-described socialists, 95 percent of whom were under the age of thirty, 48% were unemployed; 61% still lived with their parents; 69% were “uneducated”; only 14% supported free speech; while more than three times that number, 46%, supported riots as a means of advancing their cause.